BSE shareholder Diana Carter recently successfully represented the City of Centralia in a utility matter before the Boone County Circuit Court. On March 1, 2016, a Boone County jury found in favor of the city of Centralia, MO, on the plaintiffs’ claim of negligence. Centralia operates a municipal utility, providing electric service to its residents. In August of 2012, there was a short in a residential electric service line owned and operated by the city, causing the live wire to fall to the ground and ignite the dry grass. The Centralia volunteer fire department extinguished the fire. No one was injured, but there was extensive damage to the residence. The home owners sued the city for negligence, alleging the city failed to properly inspect and maintain the service line. After hearing the evidence and arguments of the Plaintiffs and the city, the jury conducted its deliberations and found in favor of the city, awarding no damages to the plaintiffs. 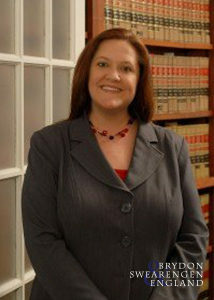 Diana Carter has a general civil and administrative law practice, as well as an appellate practice. She represents individuals, businesses, and municipalities throughout the state of Missouri.